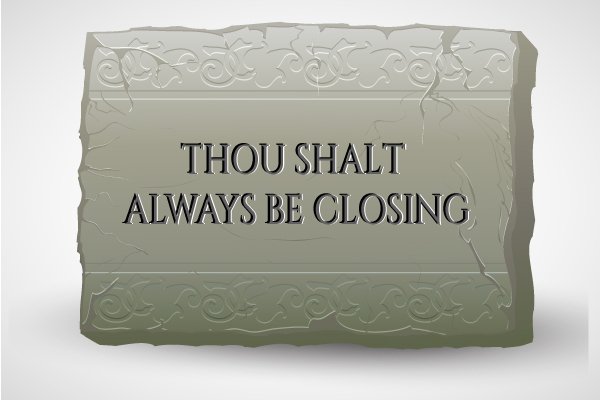 If Moses were to descend upon us and write the Ten Commandments for salespeople… “Thou Shalt Always Be Closing” will likely be the first one. But what does ‘Always Be Closing’ really mean. Does it mean you have to be an aggressive salesperson – perpetually pushing the prospect to close the deal? or a problem solver focusing more on customer service. Irrespective of what kind of sales rep you are, it doesn’t make you a great one if you haven’t mastered the art of closing. The months or weeks of hard work put into prospecting a client will go down the drain if you don’t close the deal. Closing is the final stretch you need to cross to bring home the bacon. Without further ado, here are the various sales closing techniques that can help you close deals faster and more efficiently. A popular closing technique, the Assumptive close is where the salesperson assumes that the deal has been made. 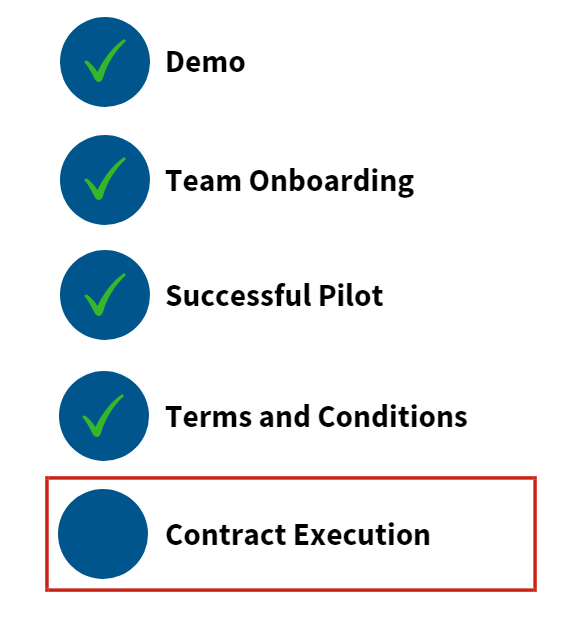 Sales reps use this technique when the prospect has checked most of the boxes in each step of the sales process but has not yet confirmed the deal. The Assumptive close works because it doesn’t allow the prospect to sit on your offer giving them a time to conjure up issues and objections which can result in them backing out of the deal completely. Threaten to take away the candy and you’ll see how well they behave. This works perfectly with prospects too. 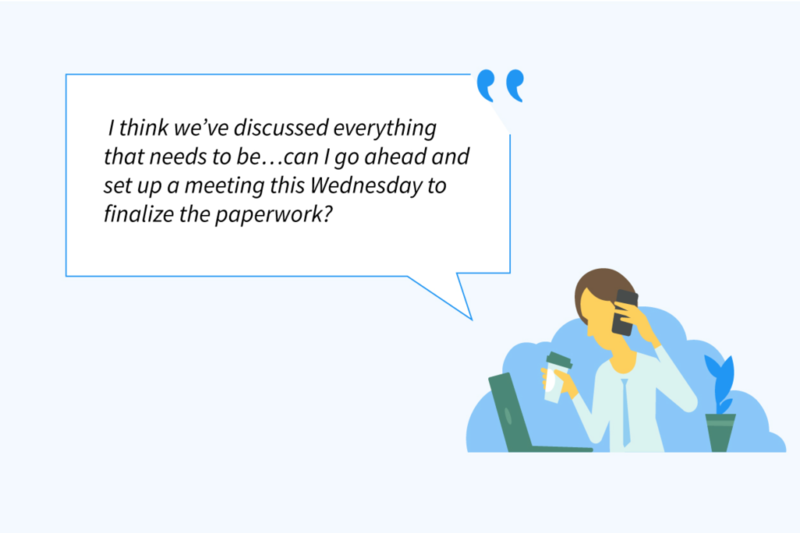 You’re on the verge of closing the deal, but your customer is reluctant to proceed. He/she has suddenly come up with complaints in order to drive a bargain. A novice salesman here would comply with all their complaints and offer whatever they ask just for the sake of closing the deal. On the other hand, an experienced sales rep wouldn’t budge. 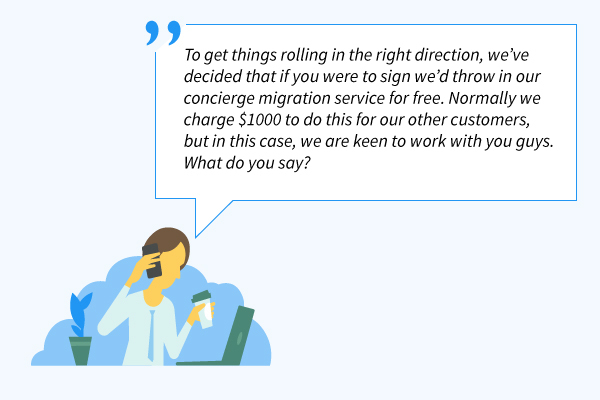 Using the Take Away closing technique, you can offer to withdraw the whole deal from the prospect in order to push them to accept the offer. 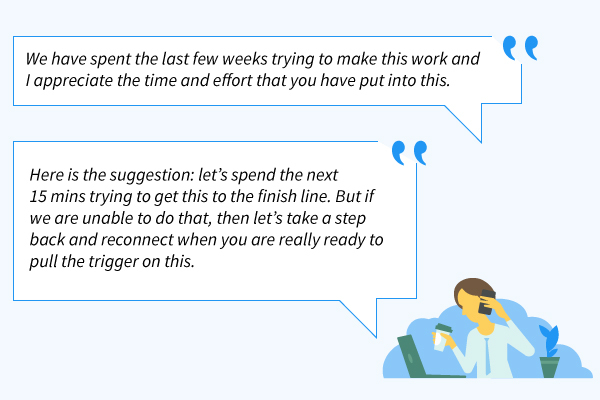 This technique can be used for prospects who happen to be a time-sink and take up a lot of your time – with little to show by way of progress. The reason why it’s effective is that letting go of a potential client shows how confident you’re in your product, which then gets the prospect to reconsider about the good product that he/she may be missing out on. 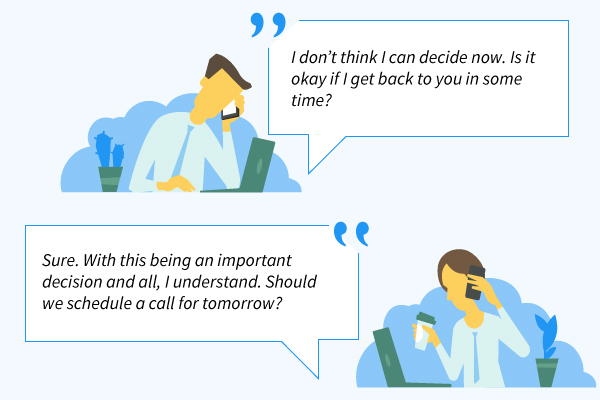 Commonly referred to as the Urgency Close, the Now or Never Close is a sales technique where you place pressure on the prospect to make a decision. This technique works when coupled with a special discount or freebie for a limited period. This technique is best used when the prospect is on the line about buying your product. Similar to the Take Away Close technique, a sense of urgency comes into play and the fear of missing out on a discount nudges the prospect over the proverbial line to get your product. Think of a well-executed closing argument delivered by a trial attorney in court. There are no new facts or concerns introduced here. Just a simple act of selectively summarizing the highlights and the pointing towards the only logical conclusion that emanates from connecting the dots. Summary close works great when you have gone through an extensive discussion/ evaluation over a period of time and it is now time to switch gears. Humans tend to return good deeds. Dr. Robert Cialdini’s Principle of Reciprocity proves that it is a social norm of responding to a positive action with another positive action. The Something For Nothing Closing Technique works around this concept. You give your prospect a free add-on or an extra feature in goodwill and they will be obligated to do something in return – that something, in this case, can be buying the product. Something For Nothing works because people like free things. But just to keep things clear, the freebie you give should be of value to them and less value to you. You can’t offer them free months on a paid plan; that would be a loss for you nor can you offer them handbags and ask them to sign up. Once you have made sure that your prospect has understood everything about your product and what it has to offer, try closing the deal by asking them for any objections they might have with the product. 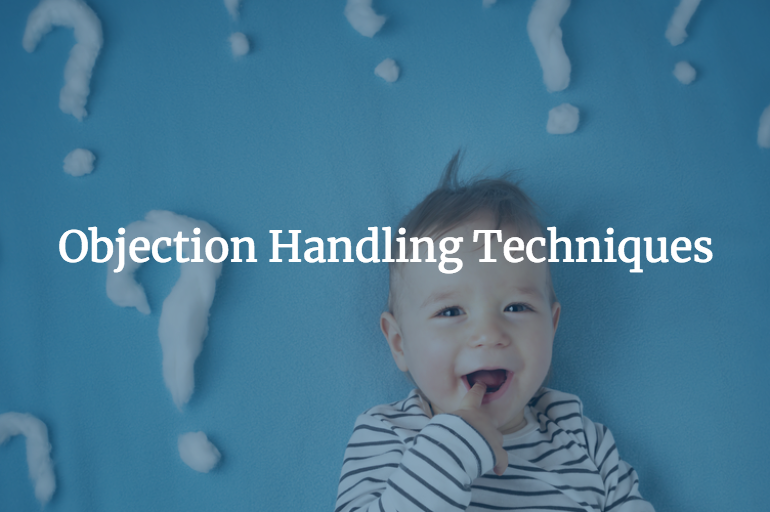 This approach allows the prospect to raise any final objections or doubts that they need to clear up without saying no to the deal. Benjamin Franklin was not only a great inventor and politician, he was also a brilliant businessman. Whenever he was hesitant about something, he’d list down the pros and cons of the decision. 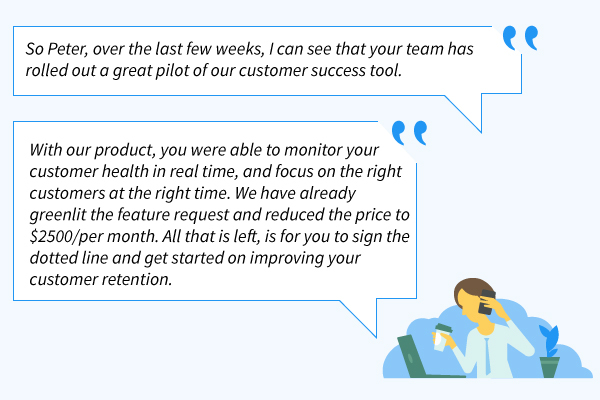 This simple tactic has enormous potential when it comes to sales closing. Listing down the pros and cons of your product will help the prospect visualize how valuable your product can be for them. 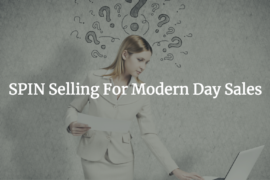 It’s best used when the prospect is hesitant whether to get your product or not, you can make them list down the pros and cons and once they see that the pros outweigh the cons, the odds of you closing the deal improves. The Sharp Angle Closing Technique is best used when the prospect is most likely going to buy your product, but they have one nagging objection that is stopping them. They bring this objection in the form of a challenge like ‘can you deliver’ or ‘there is an issue’ or so on. Using the sharp angle tactic, you can answer this question with another relevant question in the hopes of closing the deal. If you get a positive response, the deal is done and dusted. Otherwise, if you happen to get a negative reply, you know that they’re either not serious or there is another issue. Here you are given a second chance to clarify any other issues they have. Satisfying a prospect’s needs is the best way to get them to buy your product and that’s what the Needs Close sales technique does. 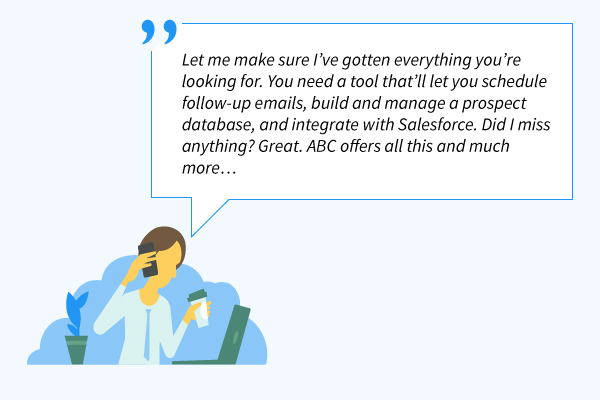 First, list the things the prospect said they needed from your product. 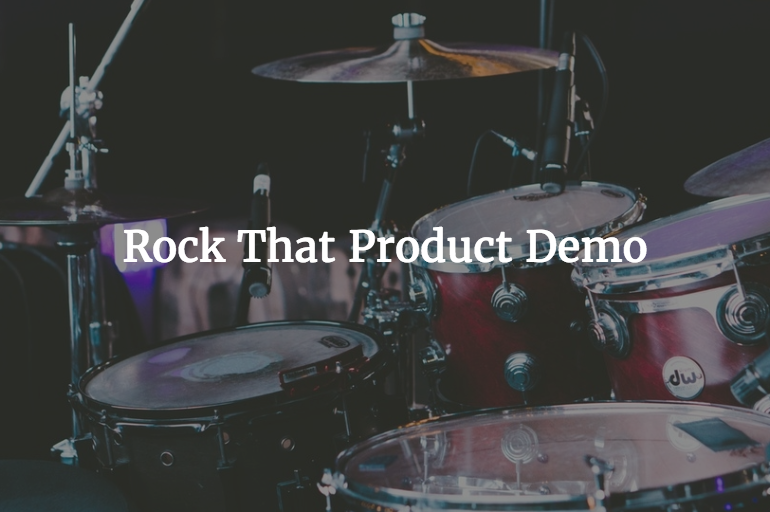 Then review the list against your product and start ticking off the ones that match. The more boxes ticked, the better fit the product is for the prospect. The Needs close technique works in situations where the prospect isn’t sure of how your product would benefit them. By listing down and ticking off the matching ones, you are showing the prospect how your product is helping them. 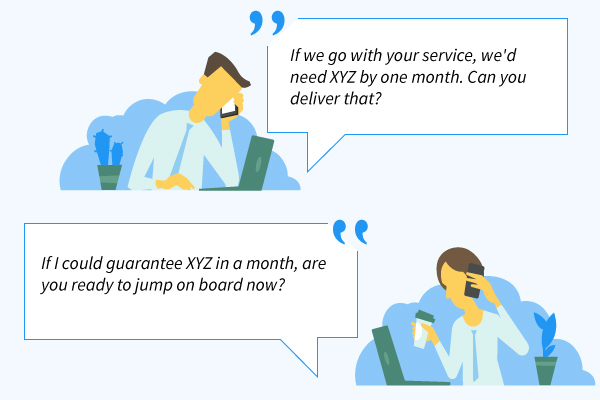 Prospect: “I love your X, Y, and Z features and I have a feeling those are the features that are going to help our company the most. 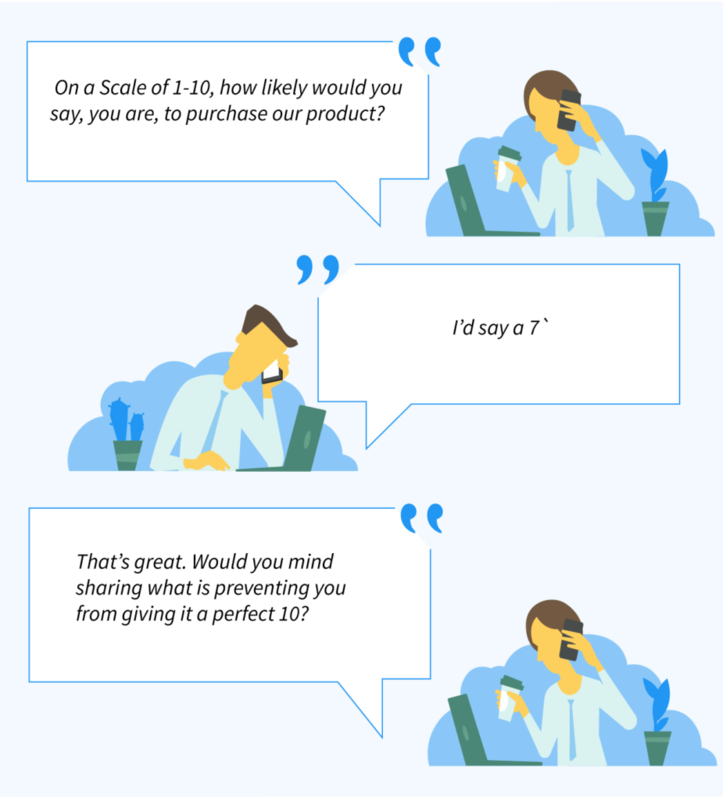 Before closing a sale, if you need a vague idea of how interested your prospect is in your product, it’s best to approach them with the ‘On the scale of 1-10′ line. Based on how they rate, you can either clarify their objections if the score is low or proceed to close the deal if they give you a solid high score. 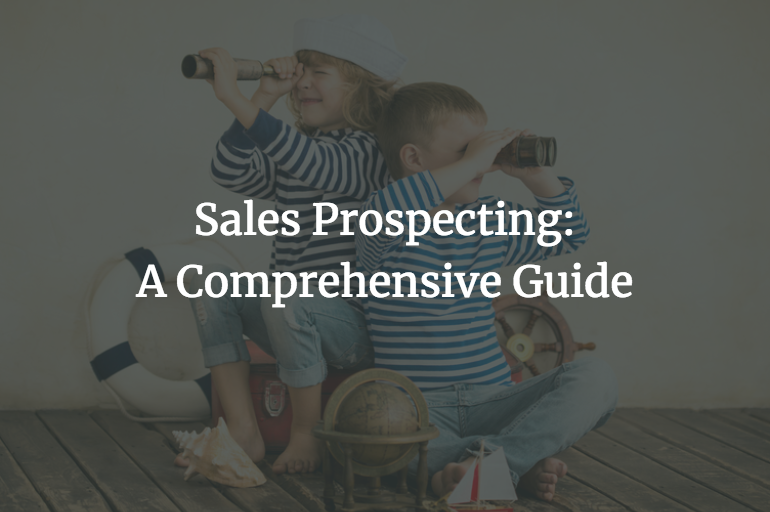 This will help you analyze the prospect’s interests and gives you a chance to walk them through any concerns they might have. Using visual aids such as result charts, videos or even table with the pros and cons listed down, you can close deals in a more attractive manner. 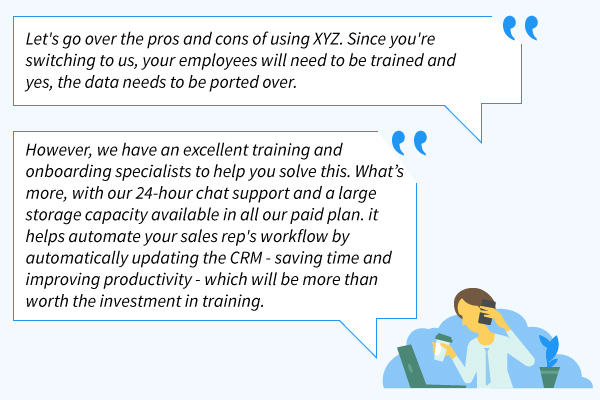 The Visual Close technique is quite popular among sales reps because it appeals to a prospect’s visual perception and as we all know, a picture is worth a thousand words. 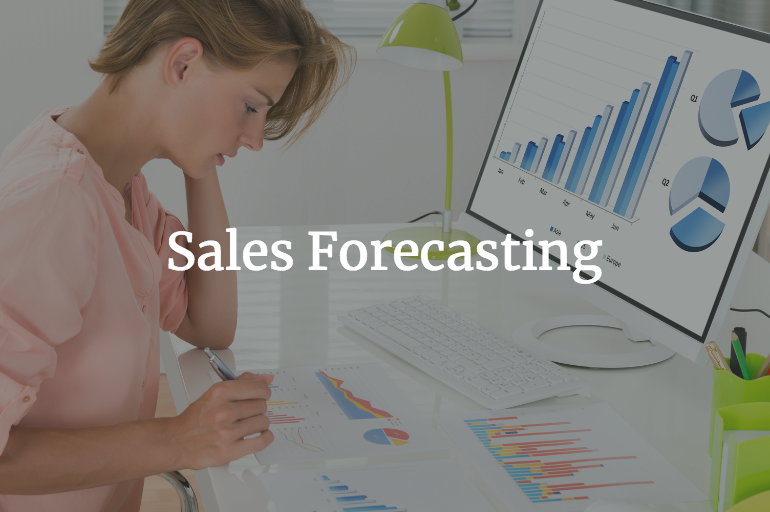 It’s easier for the prospect to visualize what you’re trying to put forth. After all, the human brain processes an image 60 thousand times faster than it processes words. Not every deal has to be closed using leverage or pressure. Sometimes it’s good to take the empathy route. The Empathy Closing technique allows you to use emotion to understand the situation your prospect is in. When the prospect tells you that he/she isn’t ready to make a decision, it’s sometimes good to them more time to think than rather pushing for a close. Empathizing with your prospects can help build a special bond with the prospect which can be useful in the long run. The Artisan Closing technique lets you highlight the amount of work, skill, and time that is being invested in the product. It deviates from the usual sales closing technique norms by focusing more on the behind the scenes of your product, rather than the prospect or the benefits of your product. This technique works best with prospects who are appreciative of something that has a lot of effort and hard work put into it. Emphasizing on that puts your product in good light and brings new appreciation to the eyes of the prospect, making it easier to close. The Alternative Close is a variant of the Assumption close, where you assume that the prospects are interested your product and you provide them 2 alternative choices that will move the deal forward. The catch is, whatever choice they choose, it should invariably help you take a step towards the close. This closing technique works best with prospects who don’t have any queries on your product or any objection with the price, features, etc. 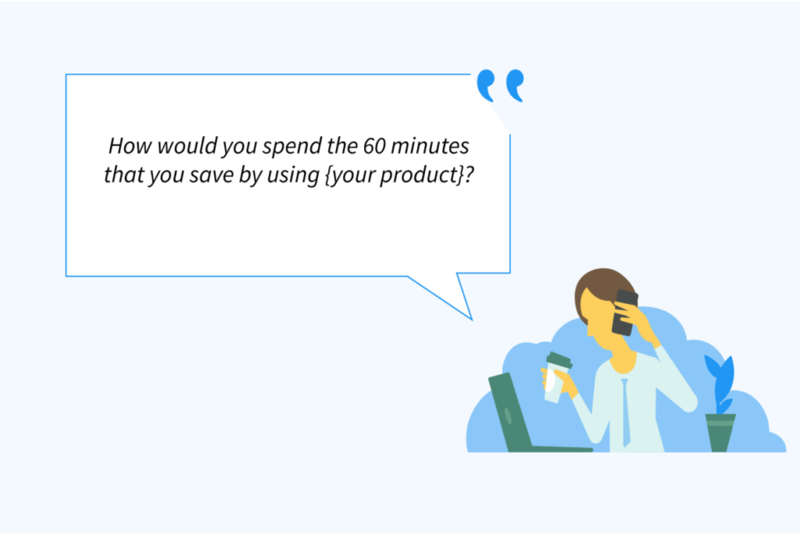 By giving them choices, you simplify the decision-making process and easily get them to make a commitment to your product. In business terms, Opportunity cost is the cost of forgoing something. I.e. the cost you incur by not doing something. This closing technique taps into the same principle by stressing on what the prospect will miss out if they do not implement your solution. When using the Opportunity Cost close technique, insist why purchasing your product is not an expenditure but rather an investment – highlight the ROI they will enjoy such as better efficiency, saving time etc. which are far more valuable in the long run, compared with the what they will spend on your product. The idea is to make the prospects realize that the longer they take to purchase, the more they will stand to lose. Have you come across one of those car salesmen who make a sales pitch, talking as though you already own the vehicle – Asking questions like, if your garage needs a rework or how frequently you plan to go on a road trip etc. Classic Ownership close; where the seller firmly places the idea of the buyer owning the product. Using this technique, you paint a picture of the prospect’s business will change for the better; being a hypothesis, this strategy works best when backed up by facts that show how their key metrics will have improved once they purchase your product – Tell compelling stories of terms goals achieved, competitions crushed etc. that will make the prospects to immediately jump in and start using your product. 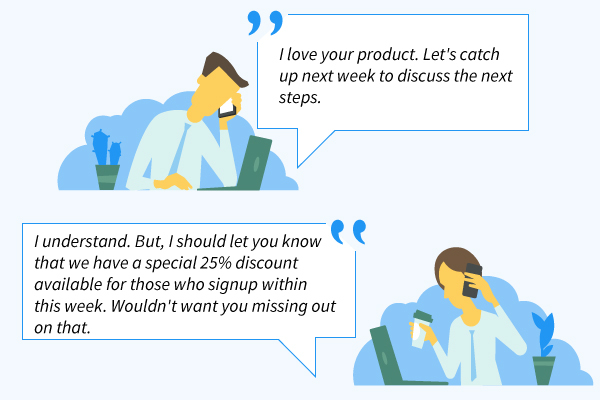 By repeatedly stating the benefits that they will enjoy, you create a mental closure that your product will improve their business, thus making it easy for you to finalize a deal. Is the prospect expanding their business? Are you having a Black Friday sale with huge discounts? You relate the timely happening with your product and put forth convincing statements that emphasize why it is the best time to purchase. There will be some prospects who will be on the fence when it comes to signing the deal. You cannot wait forever for them to make up their mind; at the same time, you cannot give up on them either, because they are almost near the closing line. What do you do, in that case? You suggest a date in the near future to finalize the deal. This way, you eliminate the hassles of back and forth exchanges and clearly fix a timeframe by which the prospect should come to a decision. 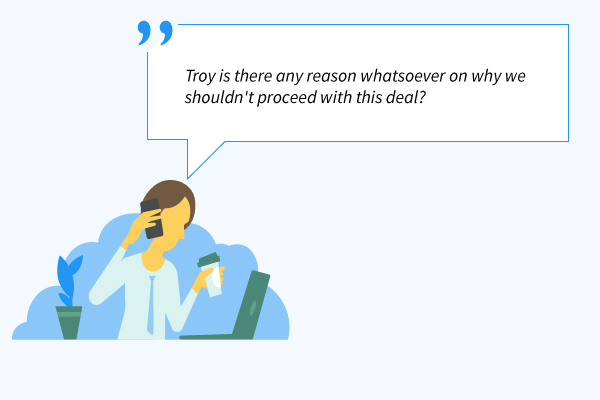 Based on their response, you can also identify the level of commitment of the prospect in signing a deal. 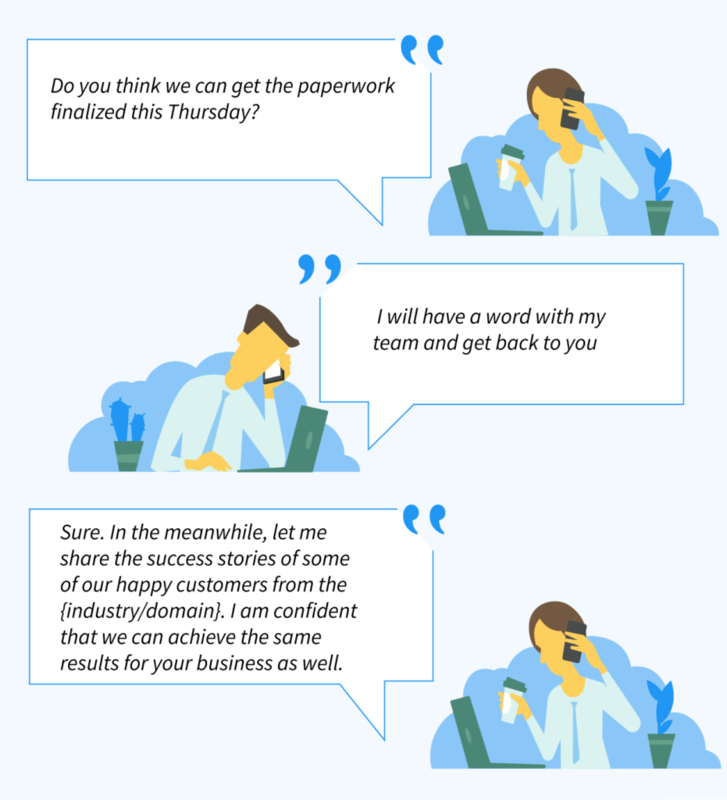 The Testimonial close is a powerful technique which helps you build trust and credibility with prospects which are the key factors for any business relationship. When using this technique, instead of talking about the product yourself, you share the experiences of actual users who have benefitted from your product. Testimonials are effective because, they come from people who have actually used the product and fell in love with it – their opinions are neutral, genuine and free from any bias. 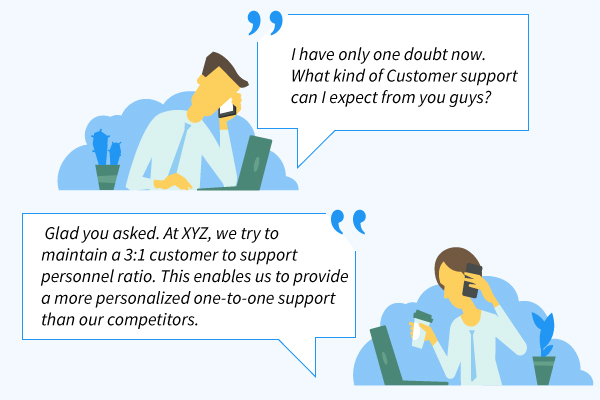 The other reason why this technique works is that when you share the success stories of your users who are similar to the prospects, you ease their concerns and doubts on whether your product can help achieve their business goals. The Thermometer close is a great technique to identify and overcome the objections that your prospect might have, which is keeping the deal from moving forward and gauge how close they are to making a purchase. Using this technique, you give the prospects a scale of 1 to 10, and ask them to give a score on how likely they are to purchase your product. If the prospect responds with a score of 6 or lower, then it means that they have a significant objection that you need to address to proceed any further with the deal. On the other hand, if they give a score over 6 but below 10, then they understand the value your product brings but still have a few reservations that you may probably need to clarify. When using the Thermometer Close, the objective is to make the prospects give you a score of 10, which means that they are ready to jump on board immediately; anything less than a perfect 10, is an indicator of objectives that you need to overcome. The goal is to, repeat the process and address the objectives, as many times as it takes, until the prospect gives a 10. 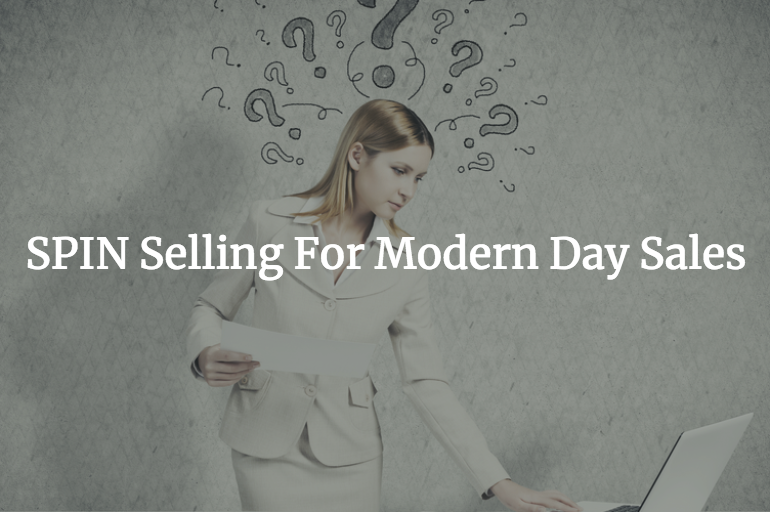 While these various sales closing techniques can help you make a sale, it goes without saying that a single closing technique doesn’t work for every prospect – It’s not magic. It depends heavily on factors like the type of prospect you’re dealing with, his/her needs, deal size, opportunities and so on. Are you confident that the prospect has fully understood what the benefits of your product are? 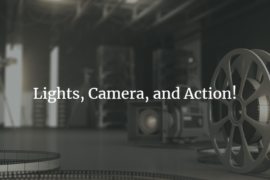 Use The Summary Close technique. 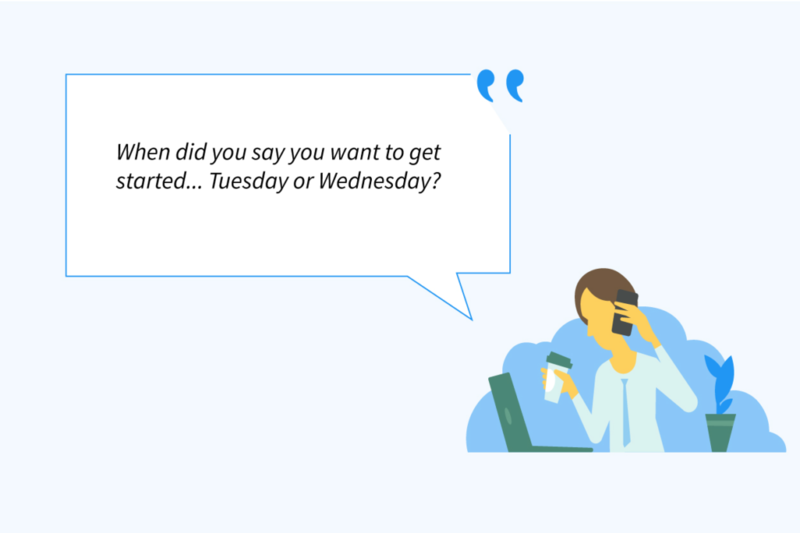 Is your prospect relentlessly complaining or badgering you for a bargain? Use The Take Away Close technique. Does your prospect have a hard time visualizing the benefits of your product? Try The Ben Franklin Close or The Visual Close. 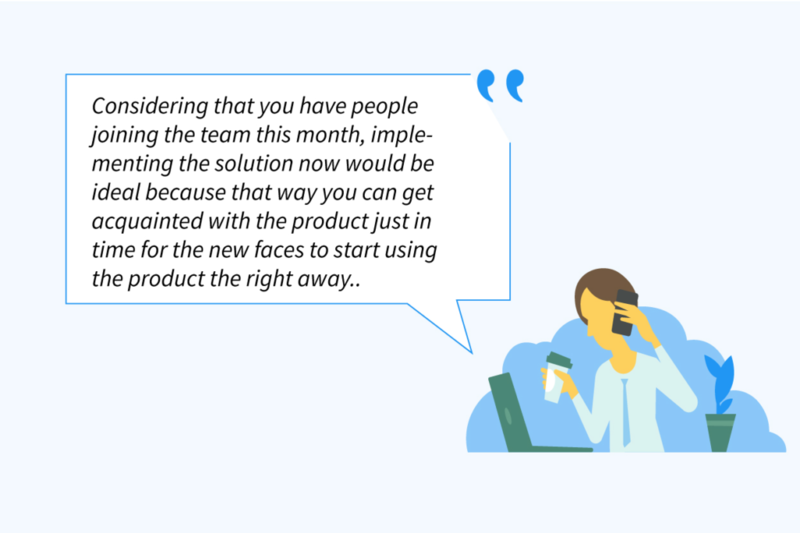 Want to know how interested your prospect is in your product? Use The Scale Close technique. 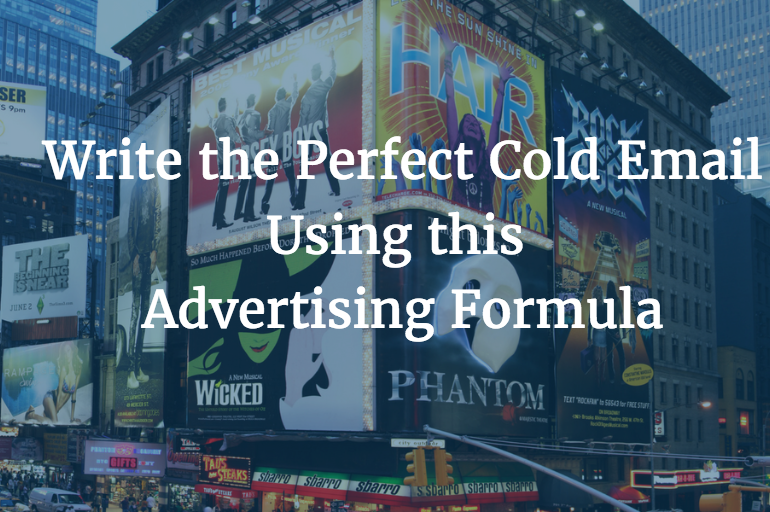 Or use the Something For Nothing Close to entice your prospect into buying. 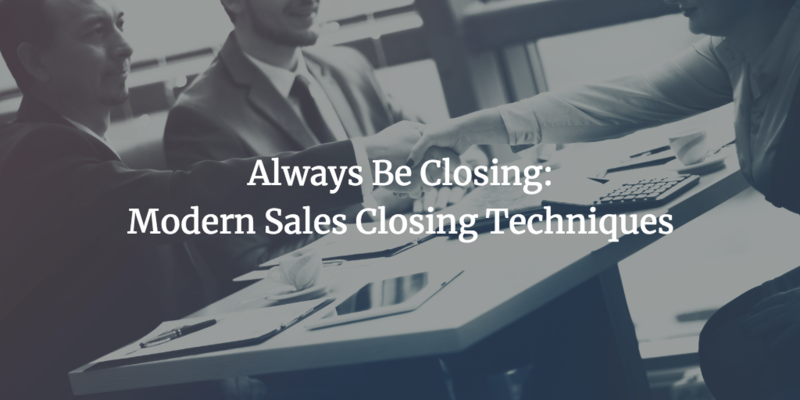 The art of closing isn’t something one can master over a few days or few weeks, it takes time and practice and none of these sales closing techniques will work efficiently unless and until you have practiced it. 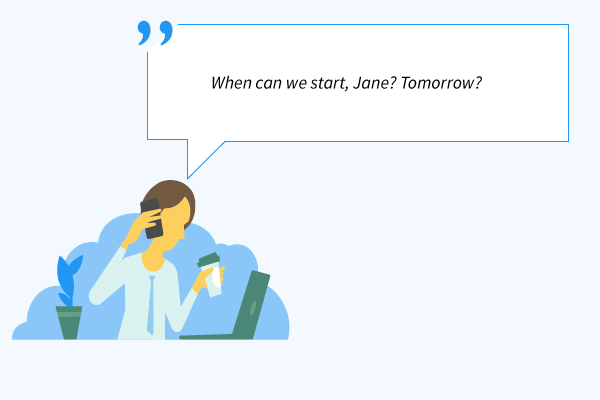 Download this free eBook to get access to 100+ proven cold email templates that sales experts swear by. We will notify you only when we have something valuable for you.